Grupo Vidanta’s Azur Bistro is new on the list this year, increasing the number of the Destination’s AAA Four- and Five-Diamond hotels and restaurants to 21. 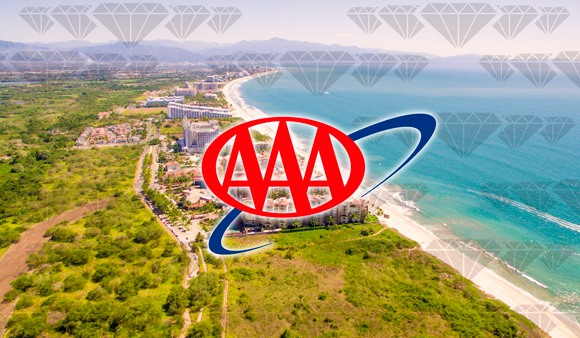 The American Automobile Association (AAA) announced the winners of the AAA Diamonds Awards on January 27, 2017. These awards are considered the most important of their kind in North America with respect to luxury service and high standard levels for tourism-related establishments. In 2017, the Riviera Nayarit kept the awards for its 14 hotels and increased the number of restaurants to seven. This year’s news is the inclusion of Grupo Vidanta’s Azur Bistro Restaurant, making for a grand total of 22 hotels and restaurants with AAA Four- or Five-Diamond awards in the destination.